Adderall is a phenethylamine and prescription drug that is primarily used to treat ADHD and wakefulness disorders such as narcolepsy. 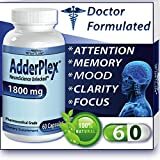 It works extremely well for improving cognition and can even improve mood by targeting the neurotransmitters like Dopamine, Adrenaline, and Norepinephrine. When taken at the correct dosage, it can increase productivity, cognitive organization, and cognitive resources. This is a newer version of its predecessor Modafinil, it lasts 15 hours rather than 12 and contains only the R-stereoisomer. It has been approved for usage as a eugeroic since 2007 in the United States for conditions like sleep apnea and narcolepsy. Some have found it beneficial to use on a off-label basis for treating ADHD, Chronic Fatigue, and depression. Many claim it enhances cognition significantly on a temporary basis by making you more alert. 2.5 mg daily; dosage may be increased in increments of 2.5 mg weekly until optimal response is obtained. 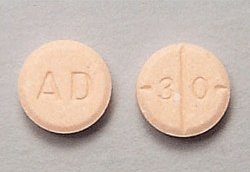 Some reported side effects related with Adderall usage include anxiety, loss of appetite, dry mouth and insomnia. 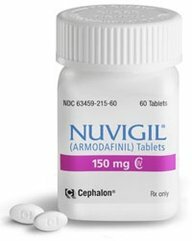 Reported side effects related with the use of Armodafinil include headaches, fatigue, nervousness, nausea, dizziness and gastrointestinal problems.